I received an email the other day from our local Fresh Market saying they had cases of Hatch chiles available for order. Well, I thought, that’s something new for me, so I’ll do it. I’ve never prepared or cooked fresh Hatch chiles, I’ve just used the canned ones you get in the supermarket. My plan was to roast them all, and I did. I also got to find out how big a case of Hatch chiles is: 18 pounds. Over 150 peppers. Yep, over 150 peppers. I fired up my largest charcoal grill and got to work. Batch after batch, I roasted the Hatch chiles until lightly charred. My plan was to only use a few of the roasted chiles immediately, so most went into bags and then the freezer for use later. After I got a system down roasting them was actually very easy. And boy, did it ever smell fantastic on the desk. I froze the chiles whole without removing stems, membranes or seeds. I found that they clean up quite easily when thawed and maybe (maybe) have more flavor that way. Plus, with 150+ peppers, I was definitely not up to cleaning that many peppers in one evening. Roasting them was enough of a chore! Perhaps I should get one of those big chile roasters you see in serious pepper-roasting folk’s yards…. Hmmmm…. A new toy! Fire up a grill for direct cooking. If using a gas grill add a few wood chunks or shavings to add a smoky flavor. Place the chiles directly over the fire. Roast the chiles until mostly blackened and slightly charred on all sides, rotating as needed. I tried to get the peppers about 80% charred so that they still had some of their pepper texture. Place peppers in a large resealable bag, container, or bowl covered with plastic wrap. Let sit for at least 15 minutes and then remove the stems, membranes, and seeds. Peel off the skin but do not rinse under running water. Place the peppers in large resealable bags. Seal and let sit out until cooled. Open the bags and remove as much air as possible. Re-seal and freeze until needed. To use, thaw the peppers then remove the stems, membranes, and seeds. Peel off the skin but do not place under running water. 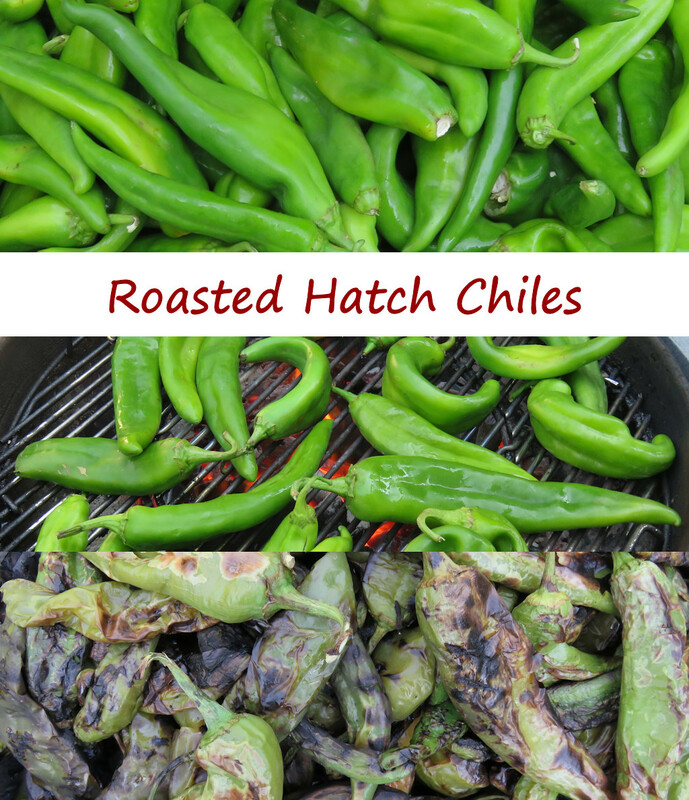 This entry was posted in Other Stuff and tagged chiles, hatch, recipe, roasted, Roasted Hatch Chiles by Mike. Bookmark the permalink.